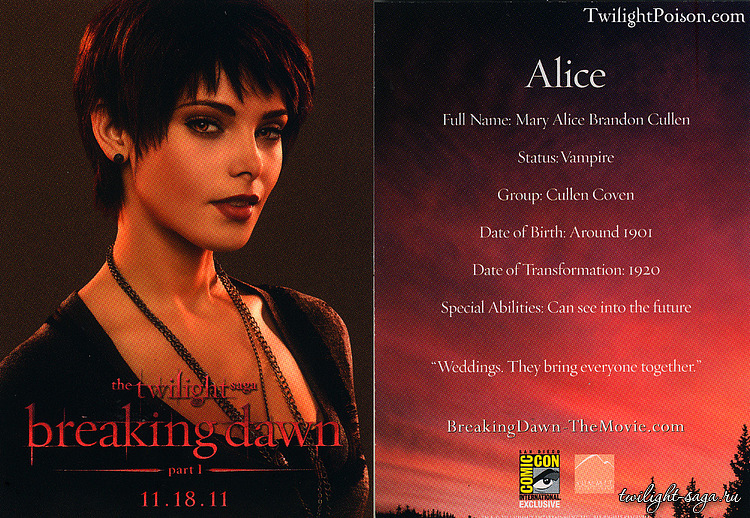 Alice Cullen - Comic Con promotional cards. . HD Wallpaper and background images in the Alice Cullen club. This Alice Cullen photo contains anime, grappig boek, manga, cartoon, and stripboek. There might also be krant, tijdschrift, tabloid, vod, papier, rag, teken, poster, tekst, bord, and schoolbord.